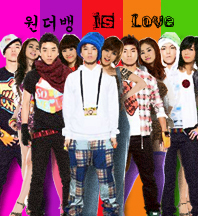 This page will list down fanfics featuring DoubleYB pairings. Remember, do take the time to thank the respective authors for their hard work if you choose to read any of the fics! Thank you and enjoy reading the fics! ** – Indicates no link to the FF. If anyone could kindly provide the link, do drop a comment. Thanks! I’m ‘Confused’..Will you help me change that? ;Confusion:Is the definition of love?! yay!! i made the list?! There is another fic, called Engraved by calicrew. helo..im new here..may i know when the fanfic “incomplete” will going to complete?hehe.i really like to read that story..
FF Title: Your New GIRLFRIEND! just thought about adding it to your list…(: haha. FF Title: i’m sorry that i love you.